Horace and Celia Cooney bought the fish and chip shop from Mr Cooper in 1967. Mr Cooper, originally from Yorkshire, taught them to fry in beef dripping. Their son Peter was 11 years old. Trade grew rapidly causing the shop to get bigger and living accommodation smaller. We started with a 2-pan range and have since upgraded to a 4, then 5 and now 6 pan ranges. Eventually the only way to expand was to get another shop. 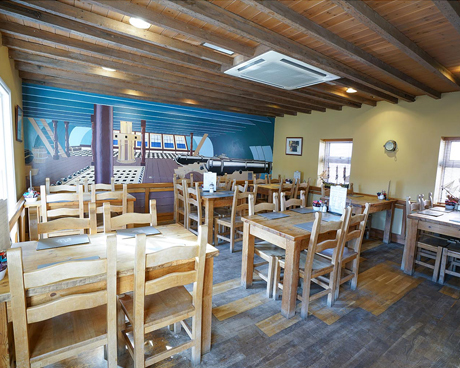 We opened The Golden Galleon in 1997, then The Upper Deck in 2000. We started with 3 employees, today we have over 30. Peter started in the shop as a boy, taking money and giving the change. After leaving school at 16, he went on to filleting fish and frying. Peter’s wife Susan joined in 1977, helping to run the business. Their son Alan and his wife Zuzana joined in 2010 after finishing University. Susan sadly died the same year, the day before Aldeburgh Carnival. In difficult circumstances, we remained open the next day. 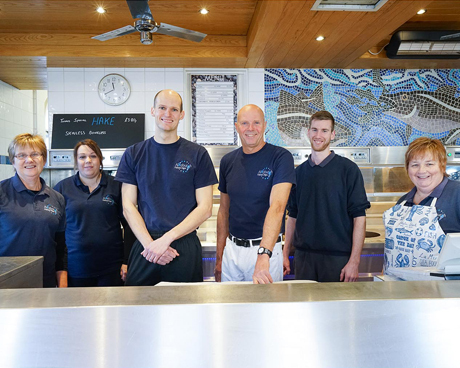 Committed to serving fish and chips, we are open everyday except Christmas Day (even then we’re asked to open). Brenda Wells and Susan Burns have been with us since 1980 and 1981 and are still frying today. Likewise, Jane Smith, Katy Curling and Alison Bailey joined with the opening of the Golden Galleon in ’97, with Tania Jamieson joining in ’98. Each has had family work in our shops, extending the meaning of “family run” business. Horace worked up to his death in 1998, never leaving the business, and we lost Celia, known as “mother” to many who worked at the fish and chip shop in 2015. Our traditional methods have remained unchanged for 50 years, although technology has improved over time. 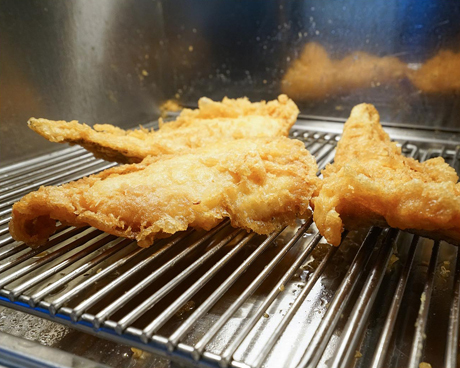 In 2016, both the Aldeburgh Fish & Chip Shop and The Golden Galleon had 6-pan High Efficiency ranges installed with Active Triple Filtration by Florigo, to produce the highest quality fish and chips. The Golden Galleon also underwent a full refurbishment. 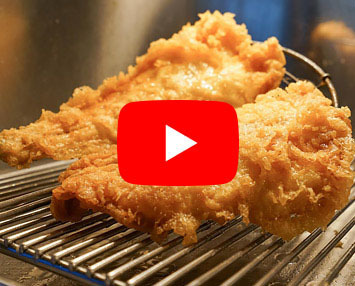 We are widely regarded as one of the best Fish and Chip Shops in Britain. Come and try us to discover why. 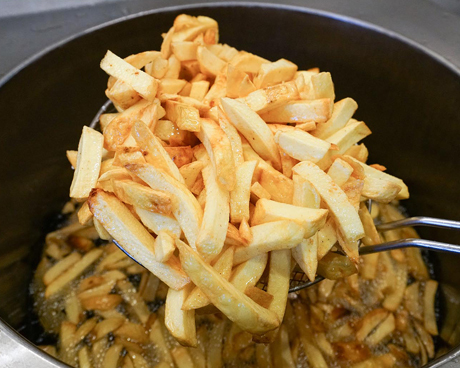 Fried the same way since 1967, we use fresh fish from the East Coast and delicious local potatoes to make our own chips. 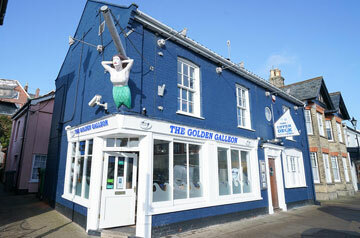 Sister restaurant to the original Aldeburgh Fish and Chip Shop, The Golden Galleon serves up the same delicious Fish and Chips which are regularly voted some of Britain’s best. It would be a crime to come to Aldeburgh without a sample. 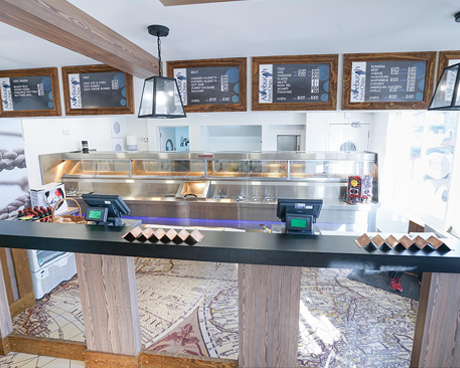 Shop is a tasty little secret – The Upper Deck. 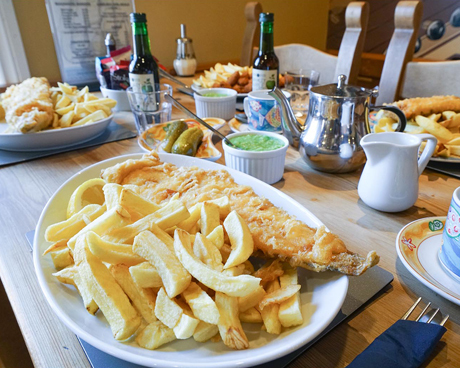 Enjoy our famous Fish and Chips in the intimate and calm surround of one of Aldeburgh’s best loved restaurants. 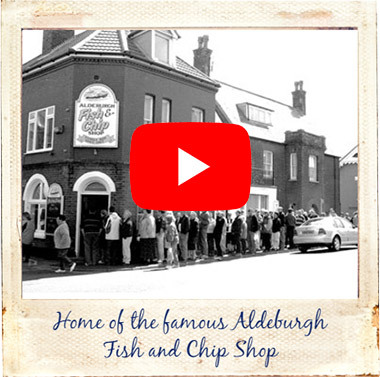 “The reason I go to Aldeburgh – you will not get better fish ’n’ chips anywhere” (“the batter is so light” and “the chips are perfection”). Queues are par for the course, but “the people in line smile as they know what a treat that they have in store”. 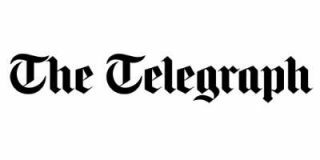 - Tatler-on-sea… Get the most from the coast! 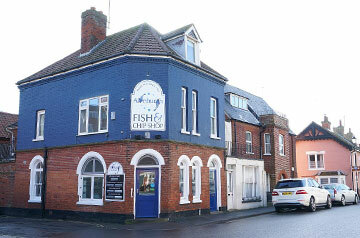 Diner’s verdict “A ‘must do’ in Aldeburgh”, this famous chippy is “well worth queueing for”. 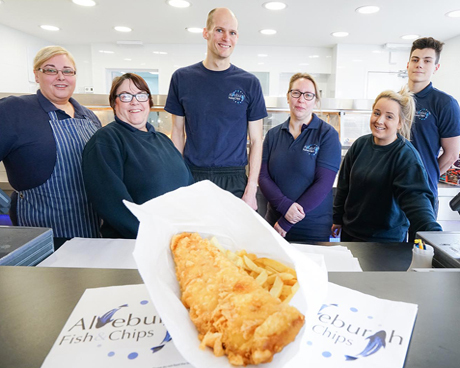 "You'll find a superb fish supper or takeaway at the family-run Aldeburgh Fish and Chip Shop, whose famous fish and chips, deliciously fried in beef dripping, have been lauded as some of the best in Britain again and again by reviewers and foodies from far and wide." 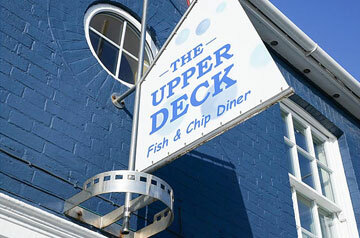 Please note that due to high demand we are unable to take bookings for the Upper Deck Restaurant. We are also unable to offer Gluten free Fish & Chips at this time.